After the Griffin Order banned time travel, Sarah decided to take some time off. While enjoying her rest, she received a surprise invitation from her childhood friend and fellow explorer, Julie. A thrilling quest leading to a mythical buried kingdom is about to begin! REVEAL THE SECRETS OF THE LEGENDARY BURIED KINGDOM! After Sarah Pennington's last mission, the Griffin Order decided to destroy all time travelling devices and permanently ban time travel. This gives Sarah an opportunity to take some time off and reconnect with family and her old friend, Julie. 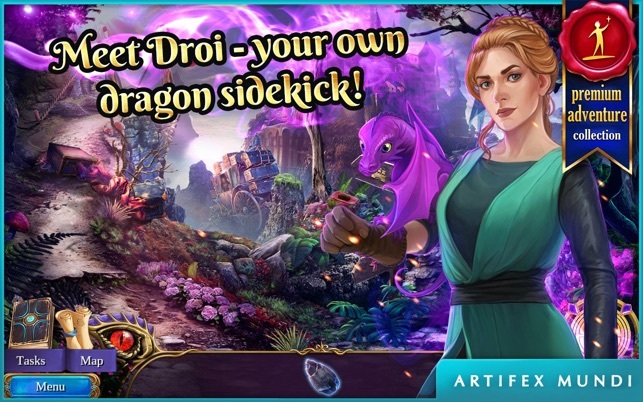 MEET DROI, YOUR PERSONAL DRAGON SIDEKICK! A renowned explorer, Julie has discovered the location of the legendary Buried Kingdom! She wants Sarah to accompany on her quest to reach it. 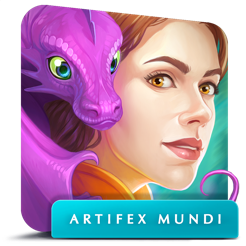 DEFEAT THE SINISTER DRAGON CLAN! 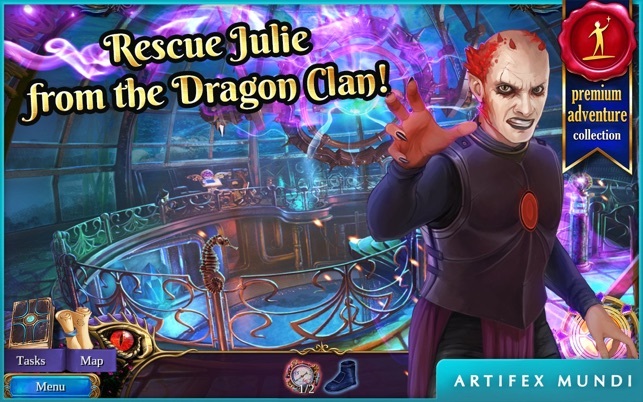 What should be a happy reunion between friends quickly turns into a life-or-death mission when the Dragon Clan, which possess a strange power hidden in the darkest depths of the sea, kidnap Julie! 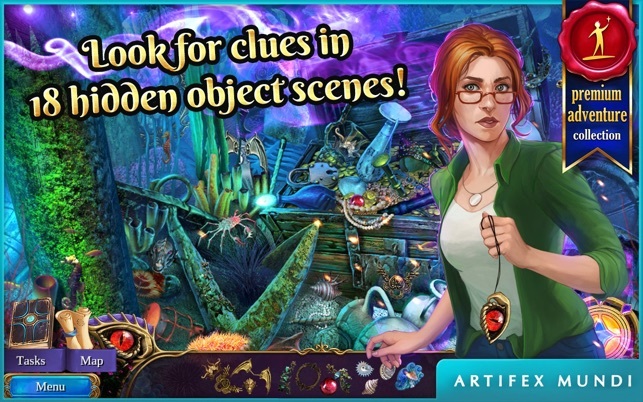 TEST YOURSELF IN 34 MINIGAMES AND 18 HIDDEN OBJECT SCENES! Now it's up to Sarah and her cute little helper to search the kingdom for answers and find a way to save her dearest friend! 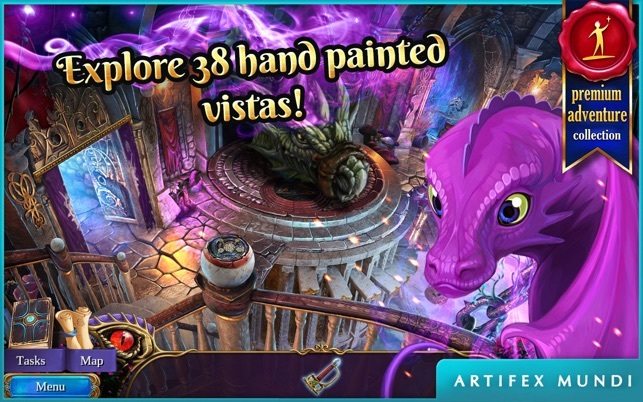 • Explore 38 atmospheric hand-painted locations! • Meet larger than life characters! 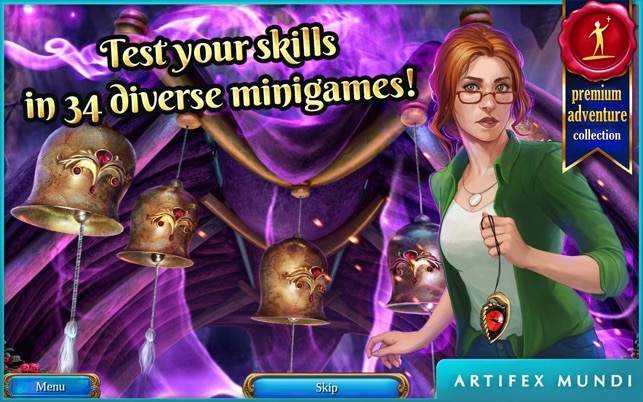 • Solve 34 challenging minigames! • Befriend an adorable dragon! • Collect every dragon egg! • Save the Buried Kingdom in the bonus game! Almost all new types of games, but not necessarily challenging enough, or maybe I’m just getting better! This game follows the story line reasonably well, but not really often enough. Lots of time spent finding things for others, healing and/or freeing animals, and you often can figure where you’ll go next. But, as already stated, the games are different and that’s very refreshing, i.e., interacting with HOP scenes to find everything, and, just when you figure you know what you’ll get for your trouble, they give you something different. All in all, good graphics, story and games. Lots of fun entertainment of an afternoon/evening! It wasn’t like i already knew what was going to happen in this story? It is just like the other ones . Sorry but that is how I felt about it. It was short and sweet, and also I was told by email it was for 2.99 special and when it download after the feel first play part and i had to purchase it it was for 6.99 and then it was too late. I don’t like being trapped in a purchase. Please don’t do that anymore.